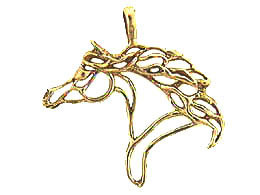 Ideal on a Omega necklace, a chain, or enjoy it as a lapel pin. How about this unique Arabian design offering an elegance that is easily noticed. Fabulous on anything with a solid color. Light weight and great for everyday wear.